How to file your claim with secondary insurance after Medicare has processed. In February 2006, Medicare announced that it would cover bariatric surgery, which is surgery used to treat obesity.Â Three different types of surgeries are covered:Â The Roux-enY bypass, which creates a small pouch in the stomach to connect to the bowel in order to bypass most of the stomach; open and laparoscopic biliopancreatic diversions to bypass most of the small intestine and pancreas, and laparoscopic adjustable gastric banding, which pinches off part of the stomach. It used to be that Medicare only covered bariatric surgery if it was needed to correct an illness caused by or exacerbated by obesity.Â There was no national coverage policy, so each state had its own.Â Now, there is a uniform policy, which covers all Medicare recipients for the surgery.Â The Centers for Medicaid and Medicare Services no longer require patients to try other weight-loss treatments first, as most have already made several attempts to lose weight.Â To qualify, their body mass index must be over 35 and they must suffer from other weight-related issues such as diabetes or heart disease.Â In addition, the surgery must be performed at a medical center approved by the American Society for Bariatric Surgery, or at a certified Level 1 Bariatric Surgery Center by the American College of Surgeons. Advocates of the new provision claim that covering the surgery will reduce Medicare costs, as patients recover from their obesity-related health problems.Â The agency estimates that the new procedure will cost less than expenses associated with heart disease, such as coronary bypass and defibrillators.Â It is expected that the patients’ health will improve after surgery, and they may even be able to go off disability.Â ASBS President Neil Hutcher, MD says that Medicare coverage for bariatric surgery will begin to remove the stigma of obesity and gastric-bypass surgery, and will cause private health insurance providers to follow suit. An estimated 42.5 million Americans received health care through Medicare in 2005.Â Medicare is the U.S. Government’s health insurance program offered to citizens and permanent residents who are at least 65 years old.Â Most individuals are automatically enrolled in the free Medicare Part A program on their 65th birthday, and have the option to enroll in Part B, which requires a monthly premium.Â People younger than 65 who meet certain specific requirements are also eligible for Medicare coverage. Medicare spending is estimated to grow by 7% per year, so how will the system keep up?Â The money issues are the responsibility of the government.Â As far as patient care and recordkeeping goes, Medicare has a form for every situation, and will likely create more.Â The system also has a Medicare code for every conceivable medical condition and drug. A brief overview of how a Medicare code works and some examples are given below. 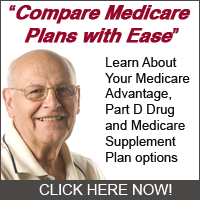 The Medicare code is comprised of alphanumeric characters, which means it can contain both letters and numbers.Â Every treatment a patient receives under Medicare has an associated Medicare code.Â When a provider requests reimbursement from Medicare for patient services, it must provide the unique Medicare code for each medical service or product provided. The Medicare system generally reimburses a specific amount for each medical procedure.Â That amount is associated with a Medicare code.Â When a medical provider’s reimbursement request reaches the system, each Medicare code on the request is matched to the reimbursable amount for that code.Â Medicare then totals all the individual reimbursable amounts related to each Medicare code, and computes a total reimbursement for the provider. Of course, this is a greatly oversimplified example and does not take real-world conditions into account.Â Not all medical items have set reimbursable amounts, and not all are automatically covered either.Â The point is that without the Medicare code list, the system would grind to a halt. The Healthcare Common Procedure Coding System (HCPCS) is a collection of codes that represent procedures, supplies, products and services which may be provided to Medicare beneficiaries and to individuals enrolled in private health insurance programs. The codes are divided into three levels, or groups, as described below. Level I is a Medicare code list containing descriptors used by the American Medical Association’s current procedural terminology. Each Medicare code is a 5 number representing both physician and non-physician services. Level II is comprised of a list of each Medicare code and descriptor used by the American Dental Association’s current dental terminology. Each Level II Medicare code is a 5 character alphanumeric code comprising the D series. The Level III Medicare code list includes codes and descriptors developed by Medicare carriers for use at the local level.Â These are 5 character alphanumeric codes representing both physician and non-physician services not already represented by a Level I or II Medicare code. These are simply three levels each type of Medicare code.Â The degree of complexity of the Medicare code system is enough to give one a migraine headache.Â And there’s a Medicare code for a migraine: J3030 (prescription Imitrex ™ with a dosage of up to 6 mg administered via subcutaneous administration).Â The doctor and pharmacy visits to get the Imitrex ™ would generate even more Medicare codes.Â Maybe we’re better off not knowing. The Medicare Program is a health insurance program of the U.S. Government.Â U.S. citizens and permanent residents are eligible for Medicare coverage if they (or their spouses) worked 10 years or more in employment covered by Medicare and are at least 65 years old. Additionally, persons less than 65 years old can be covered by Medicare benefits if they are disabled or have end-stage renal disease requiring either kidney dialysis or a transplant. Before Medicare patients can be accepted by a health care provider, however, it is necessary for the provider to submit a Medicare application. Below are some tips for a health care provider to get faster approval of its Medicare application. Medicare coverage and information is subject to change without notice. Always check with your local Medicare professional for the most recent information. Health providers must supply a valid NPI on the Medicare application. 855 Medicare enrollment applications starting May 1, 2006.Â Health care providers must complete that version of the form at the time of this writing.Â The Medicare application version is located in the lower left-hand corner of the form. The Medicare application form differs for each type of health care provider.Â For example, a doctor’s office, ambulance provider, and mental health care institution would each submit a different version of the form.Â Each provider’s form lists the types of providers that can utilize it. All requested records must accompany the completed Medicare application.Â These records may include professional and business licenses, identification numbers, and other professional documents. Submitting an incomplete Medicare application requires the agency to either contact you for the missing information, or return the form for completion.Â Save time by supplying all information the first time. Different contractors process the Medicare application from different parts of the country.Â Submitting the completed form to the wrong address will delay the enrollment. Certain institutions must include a Medicare application fee.Â The provider must include all information to pay this fee via electronic transfer. The Medicare application process for providers can sometimes be difficult, so failure to sign and date the form is a common mistake. The contractor handling a provider’s form may have questions.Â Prompt responses can keep the application process going. Most health care providers can get their Medicare application approved faster if they follow a careful and methodical approach to completing the enrollment form.